OMEP Meeting 20180607OMEP Meeting 20180607The next OMEP meeting is being held, this time will be a sharing of Matariki knowledge and understandings and a weaving in of whakatauki and waiata. Check out the details here. Making Transitions MatterMaking Transitions MatterCheck out this opportunity to hear Emeritus Professor Aline-Wendy Dunlop, from Strathclyde University Glasgow, talk on Making Transitions Matter. Please make sure you read the conference information. There are some key dates around registration that need to be noted. Welcome to the fifth Conference update, there will be further news, information and guidance in weekly editions of Kōrero. The Conference is being held on July 10th 2018, 8.30 am to 5.15pm, at the Te Papa Museum, in Wellington. The overarching lens for this year’s Conference is PANONI - Celebrate! Challenge! Change! - With the aim of transforming our practice, assumptions, and ways of being! We look forward to another wonderful Conference! Administrators and Teacher Aides please can you confirm your attendance by emailing tania.braybrook@wmkindergartens.org.nz by the Wednesday 20th June 2018. In this e-mail please also include any specific dietary requirements for Monday lunch, and whether you are intending to stay on for drinks and nibbles at the end of the day. We look forward to seeing you there. ENROLMENT OPENS THROUGH HR.Net on Monday 11th June 2018 - registration will be open until Wednesday 20th June at 5.00pm. Please note that each staff member must enrol into HR.NET using their personal login details. It would be useful to test your HR.Net log in details before Monday in case you need additional support. Please do not try to register before Monday 11th at 9.00am! All Staff Conference on Tuesday 10th July will consist of three compulsory Keynotes (please note that you will automatically be enrolled into these), and you will choose two further presentations to attend. Enrolment for the Conference Presentation Session 1 – choose your first presentation! In my role as a Pākehā educator, researcher, writer, and former school principal, and in the work I am doing now, I find schools continually asking for support for what they mostly perceive to be the “problem” with Māori achievement and Māori education. It’s an issue where the interest is huge, and we have a lot to learn. Wearing my other hat, the one that is a mother, grandmother and great-grandmother of Māori children, in a whānau that has been on a deliberate trajectory to the point where my great-grandchildren speak fluent Māori and no English, I have no more patience with the idea that further generations of our babies are going to be failed by our education system, while we mess around collaborating about their deficits. A child develops a secure cultural identity when the environment and the ecosystem around them, provide opportunities for learning, practising, and normalising cultural values, and these are embedded in teacher learning and practice. How’s your ecosystem doing? Claire Jongepier is the Head teacher of the Hill Street Early Childhood Centre, a community based Centre in Wellington. She has worked both in kindergartens and early childhood centres for over 30 years. She has built up a wealth of knowledge and experience in working with a wide age range of tamariki and is particularly passionate about working with infants and toddlers. 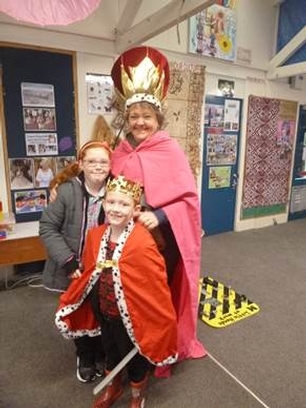 She has also worked as a senior teacher with Whanau Manaaki kindergartens and has worked with students and teachers delivering a wide range of professional development opportunities. For some kaiako the mundane repetitive nature of everyday care routines can be tedious and time consuming getting in the way of “real teaching”. Let’s reconceptualise these moments as being rituals with wonderful joyous moments full of learning. Relationships that are respectful and responsive have a life time impact on our ākonga, they build the foundations for effective learning. You can make a real difference in how tamariki build strong healthy minds, bodies and spirits from the way you view and respond to these moments. Glenda has worked in Early Learning for 28 years including teaching in most service types, working in the Ministry of Education, Education Council and most recently managing seven ECE services. She is excited by the new Code of professional responsibility and what it might mean for guiding and supporting great teaching practice. What is our responsibility as teachers to enact the new Code of Professional Responsibility's 'Commitment to Society'? How can we promote social justice in our teaching to reduce biases so that all children, families, whānau and colleagues can participate fully in education to ensure equity of excellence? Presentation Session 2 – now choose your second session! Lyn has been a Senior Teacher with Whānau Manaaki Kindergartens since 2013 and has been involved in ECE for the past 34 years. She was involved in delivering PLD during the early days of Te Whāriki and has been passionately promoting children as capable and competent learners and communicators ever since. Have we shifted paradigms - learning or learned? For a while now I have been grappling with how teachers’ practices can support children as learners, rather than focussing on what has been learned. In this presentation I will challenge you with some of the thoughts that have been challenging me. Our very experienced teaching team places a strong emphasis on providing an authentic, inclusive learning programme that caters for and reflects all childrens needs and interests. We endeavour to Build Learning Power in our tamariki through supporting all of our children to become better learners. Knowing how they learn, and supporting them in exercising their learning muscles is crucial if children are to be confident and competent lifelong learners in the 21st century. Our kindergarten philosophy developed in consultation with our whānau is based upon six pou/foundational posts. Whanaungatanga/relationships, ako/teaching and learning, wairuatanga/spirituality, manaakitanga/kindness and generosity, rangatiratanga/leadership, and social justice are the posts we believe reflect the very essence of our place. Innovative Bicultural Pedagogy: Building and Making Visible Children’s Learner Identity. Through genuine engagement and collaboration with kindergarten Māori whānau, the Papamoa Kindergarten teaching team developed a bicultural teaching, learning and assessment framework specifically tailored for our place which supports tamariki in becoming 21st century competent and confident lifelong ākonga/learners; who have very clear ideas about their learner identity and who view themselves as learners in different contexts over time. This presentation takes you on a journey from 2015 through to 2018 and shows the transformative change that has taken place during this time. It will explore how our practice needed to change to enable us to genuinely engage with our Māori whānau. It will also critically examine how changing our assessment practices supported building and making visible children’s learner identity and the explicit role of the teacher in this process. Fundamental to this mahi was the affordance of rangatiratanga (one of our six philosophy pou) through engagement and extensive knowledgeable input from our tangata whenua whānau. Amy Scott has risen to being one of Australasia’s most sought after professional speakers with her dynamic delivery on the art of communication. Amy comes from a farming community in Ranfurly, Central Otago and is firmly recognised as an authority in the art of communication. What began as a young person’s desire to help individuals transform the quality of their lives through communication, has grown into a lifelong crusade. “I’m passionate about people playing to their full potential and tapping into the potential of those around them. Life is far too short for unnecessary stress!” She is fully accredited in the New Zealand made “Dots” Communication model and is now infamously regarded as “The Human Dynamo from Central Otago”. Her courses are designed to both entertain and inspire, while helping people to take action. "Dots Distilled" A Condensed Session! Discover why some people can’t help but rub others (or you) up the wrong way! Have a fun time whilst learning some key concepts in living a less stressful life! The next giveaway day is being held on Saturday 16th June at Nuanua Kindergarten. If you have any goods you wish to donate to this giveaway day we would appreciate them to be dropped off to us at the office throughout the week of Monday 11th June. Donated goods could include clothing, bedding, kitchen utensils, furniture and linen. We are always appreciative of the generosity of our kindergartens, their families and community. Thank you. Doris Nicholson had ‘Queen Elizabeth Royal Day’ – Cute! Miramar Central – promoting sustainability and environmentally friendly initiatives, great work! REUSABLE WET BAGS. 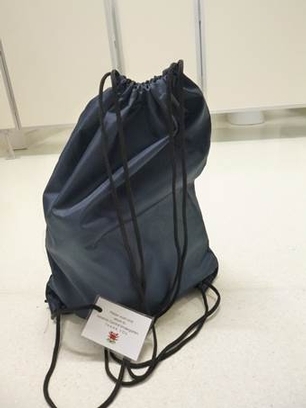 To reduce the amount of plastic going to landfill, we are going to send your child's wet clothes home in one of our new reusable wet bags. These belong to kindergarten. Please wash the bag and return it to kindergarten, so we can keep reusing it. Next week (June 10 to 17) is men’s health week and a Pasifika men’s health facebook page is profiling several men to introduce the week. 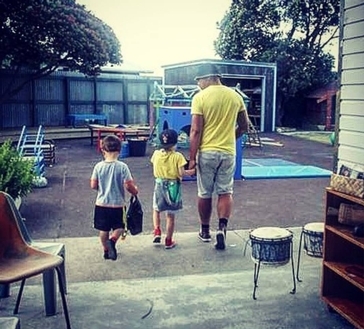 Iona To’omaga who teaches at Moira Gallagher Kindergarten and represents teachers on the Board of Whānau Manaaki Kindergartens, has featured on the page. Iona recognises that he is a role model as a teacher and within his family. “What does Pasifika men's health mean to me? To set an example for my children, to make good choices in terms of health and wellbeing and also to set the same standards in my work as an ECE teacher. Whānau Manaaki’s Caroline Mareko is on a high level government working group to look at fair pay agreements. The group of ten is headed by former Prime Minister Jim Bolger and includes representatives from business and unions, as well as the wider community. It will look at setting minimum terms and conditions of employment for workers in the same industry or occupation, and will report back by the end of the year. While it is not expected to affect the kindergarten teachers’ collective agreement, it could signal changes for teachers in private early childhood services, and could also see minimums for administrative staff. At the moment, early childhood employers have to attest to paying teachers minimum rates in services that are not covered by an agreement. These are currently set at $21.65 for a teacher with a degree. There are around 34,000 early childhood teachers according to the Ministry of Education, and the vast majority are not covered by a collective agreement. Many teachers in the private sector are questioning their low pay rates, especially as rest home carers who do not usually have a degree or a student loan are now paid a higher hourly rate. The Government says Fair Pay Agreements will lift pay and conditions by preventing a "race to the bottom" by stopping employers from competing with each other by lowering wages. Caroline is currently the co-convenor of the Council of Trade Unions Komiti Pasefika and chairs the national Pasifika Leadership Caucus in NZEI Te Riu Roa. She sees her role on the working group as representing the grassroots community. Whānau Manaaki’s CEO Amanda Coulston says it’s an honour to have Caroline (Aiga) on the working group. 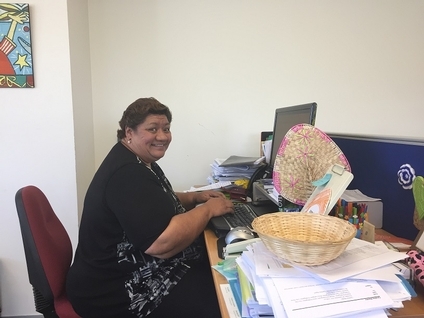 “This appointment acknowledges her wide experience in the education sector, the union movement and in the Pasifika community and it is great her strong community connections and her expertise have been recognised for this important work." As you will be aware our team are working with the Whanganui Association to offer professional support, including senior teacher services and professional development. I'm not sure our team expected this though! Check out the two kindergarten cars at Waiouru! Brrr! Primary teachers will hold meetings around the country later this month to discuss a pay offer from the Ministry which, if accepted, would feed through to kindergarten teachers’ salaries. The pay offer would give most primary teachers between 2.2 per cent and 2.6 per cent a year for three years. This is because most primary teachers are at or near the top of the pay scale. The government’s offer is structured to give more money to newer teachers, with a pay rise of 4.3 to 4.7 per cent a year to teachers in their first three years of teaching. It would make the starting salary for teachers $56,638 from 2020, while the top step would go to $80,599. NZEI Te Riu Roa representatives have criticised the offer as too low. Primary teachers had claimed a 16 per cent pay rise over two years. If primary teachers reject the offer, strike action would be a possibility. Have you ever been stuck with a cash/credit card that wont swipe? Too much swiping can make the magnetic stripe on your card start to dull. 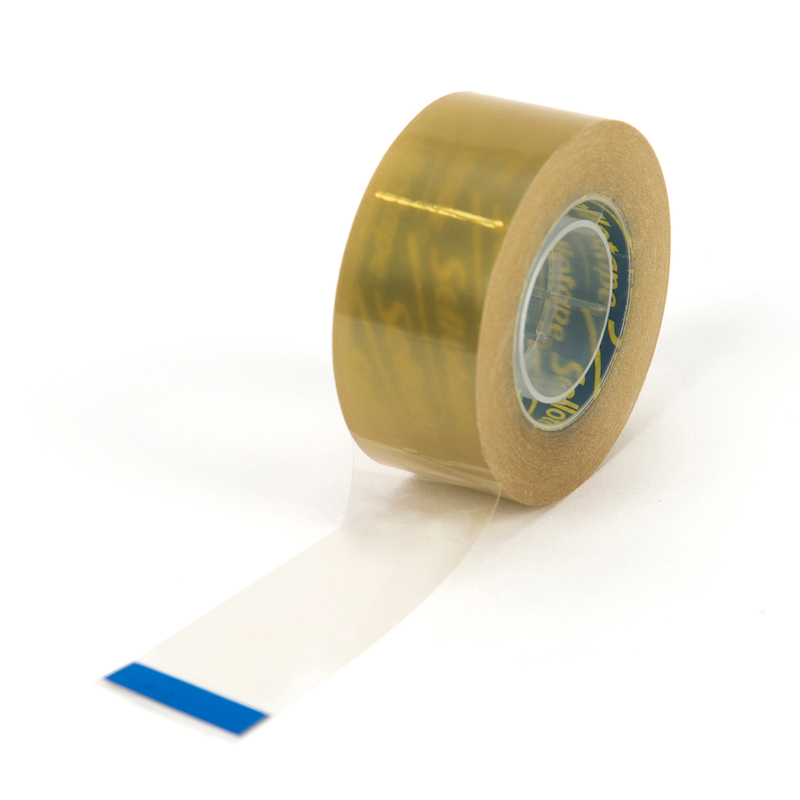 If you find yours isn't working every time you use it, try covering the strip with a thin layer of Sellotape until you get a new card.